Hollowrap Ltd. are a UK supplier & manufacture of stretch film packaging products, not only do we supply our innovative Coreless stretch film, we also offer cored machine rolls. Although these are not coreless they are produced on very thin walled cores so also reduce packaging waste. The film quality is excellent and out competes thicker gauge films in like for like application. 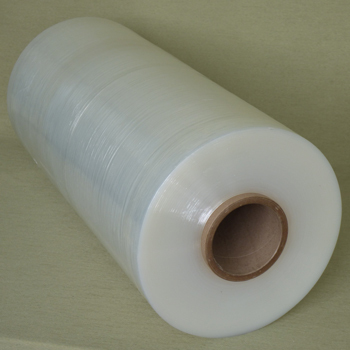 Products offered include 17mu and 15mu film thicknesses as standard. Other thickness are available in large order quantities. Thinner walled cores mean more rolls per pallet – 50 rolls per pallet (rather than the standard 46)! Every rolld bagged, added protection once the pallet is opened.